Inline Industries | Proudly Distributed by MFCP, Inc.
Inline Industries designs and builds a broad array of quality products in its ISO 9001 manufacturing facility. As a fully integrated manufacturer, we perform all facets of production from design through final testing. Our products adhere to ANSI/ASME specifications for material content, pressure ratings and quality assurance, ensuring that our customers receive consistent quality and reliability every time. Inline Industries offers a complete line of stainless and carbon steel ball valves with various end connections. We have the broadest selections of multi-port ball valves in the industry. Inline is recognized for its high cycle, ISO 5211 direct mount valves, which eliminate the need for costly brackets. We also offer an exceptional line of sanitary valves designed for pharmaceutical, semiconductor, and food & beverage applications. 3A approved valves are available. 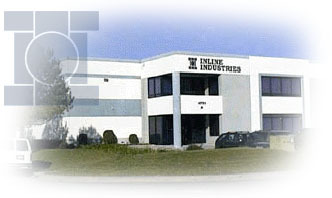 Inline Industries maintains an extensive inventory in its California warehouse to support a growing distribution network. Our staff provides factory support to address technical questions. We offer sole source automated systems with pneumatic/electric actuators and accessories, and can ship these usually within 24 hours of order. Additionally, we are able to modify existing products or manufacture new designs to meet specific requirements.